Quick Thoughts: Disney goes back to its fairy tale roots with great success. Tangled tells the story of Rapunzel, a princess that was stolen at birth by an old woman because of her magical hair that had the power to keep the old woman looking young. 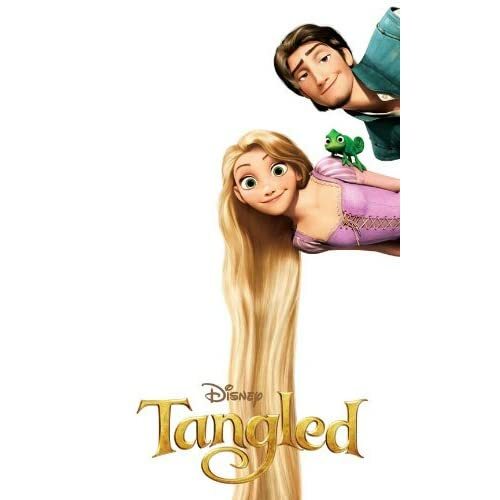 Locked away in a tower through her teenage years, Rapunzel finally seeks adventure when fugitive Flynn Ryder inadvertently seeks escape in her isolated home. Tangled is a perfect addition to the Disney archives, combining innovative animation with good storytelling. 3D and CG technology are used to breath life into characters that resemble the more traditional hand drawn models of Disney’s past. The story and characters are strong and humorous, with Ryder’s noble horse providing the most laughs throughout the film, a remarkable feat for a non-speaking character. The songs in the movie are solid and Mandy Moore is enjoyable in the lead role. I wouldn’t list Tangled amongst Disney’s all-time best work, but it’s close between this and Bolt for Disney’s best animated, non-Pixar feature film of the past decade. Replay Value: Lots of value here for kids and families. Sequel Potential: Disney likes to make direct-to-video sequels, but the conclusion of the film doesn’t leave much left to explore with these characters. Oscar Potential: Nominated for Best Original Song and possibly snubbed for Best Animated Feature (I haven’t seen The Illusionist yet). Recommendation: A solid, but unspectacular Disney movie that is great for kids and enjoyable for adults. Quick Thoughts: The first sequel was not only unnecessary, it was also forgettable. Little Fockers doesn’t suffer the same fate, but unfortunately that’s not for good reason as it will be remembered for being one of the worst comedies of the past decade. I’m not going to spend time talking about the absurd plot to this film–and why should I? It’s not like the filmmakers put any serious thought into the script themselves. Screenwriter John Hamburg is a frequent collaborator with star Ben Stiller, but it’s obvious that Hamburg is much more talented at coming up with original stories (Meet The Parents, I Love You, Man) than continuing previous ones. Little Fockers is star studded with several A-Listers, but the film is terrible and offers very few genuine laughs. I’d recommend for the cast to quit while they’re ahead, but it’s already too late for that and at this point all we can hope for is that Hollywood will put this franchise out of its misery before the sequels put such a powerful taint on the series that we forget how truly fantastic the original was. Sequel Potential: Meet The Fockers grossed $280 million in the U.S. and even though business fell off dramatically for Little Fockers, at $148 million, it’s still a box office hit. It was universally destroyed by critics though, so it’s quite possible that the stars of the series will realize it’s time to give it up. Recommendation: Little Fockers is borderline unwatchable. It’s a comedy that’s not particularly funny and a great barometer for judging someone’s taste in movies. 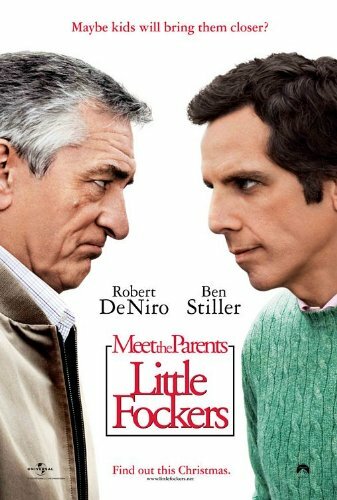 Ask someone enthusiastically: “Have you seen Little Fockers yet?” If they respond with: “Yeah! It was really funny.” then you know never to take their opinion on films seriously again. One of the worst movies of the year, for sure. Quick Thoughts: I can’t say I own Justin Bieber’s album, but I can admit I admire his talent and success. This film basically documents his shockingly rapid rise to fame and culminates with his sold out concert at the world famous Madison Square Gardens. It’s marvelously edited, interweaving home videos from Bieber’s childhood with more recent footage of the young prodigy embracing his newfound fame. 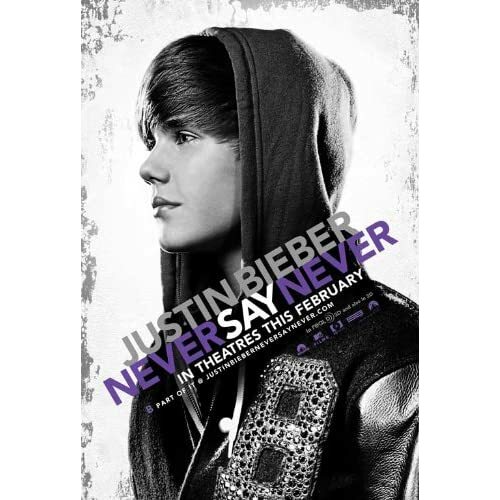 Never Say Never is presented as an underdog story, but that’s a tough pill to swallow as we can see that the star possessed immense confidence and talent from a very young age. Granted, selling out MSG at age 16 is remarkable, but one gets the feeling while watching Justin’s story unfold that future success was inevitable. Bieber is not only profoundly talented, he’s also blessed with pop star good looks and natural charisma. I’m not going to knock on the kid’s work ethic, but it’s not like he grew up in the Detroit projects and had to fight against all odds like Eminem did. The right person happened to watch his YouTube videos and happened to have some solid connections in the music business. Case closed. Never Say Never works as a documentary that celebrates Bieber’s rise to fame, but as an underdog story, I’ll take 8 Mile any day. Replay Value: Not much unless you’re a fanatic. Recommendation: Obviously a must own for Bieber fanatics, but I also think it’s worth seeing for any fan of music in general, especially those that aren’t familiar with Bieber’s story. It’s easy to dismiss JB as the latest teeny-bopper and pop fad, but this documentary gives a deeper glimpse into the world of someone that’s clearly a lasting talent. I won’t go as far as to call him the next Michael Jackson, but there’s a lot of potential here for future greatness. You are currently browsing the The Bat Cave blog archives for May, 2011.